In 1953, Koch Insurance was founded by Royal F. Koch in Tyndall, South Dakota. Royal's son Martin "Marty" Koch joined him in 1983 and expanded offices to Tabor, South Dakota in 1984 and then Springfield, South Dakota in 1986. The Yankton, South Dakota office opened in 2008 and is managed by Michele Gordon. Austin Koch joined the Tyndall office alongside his father Marty, in 2014. The Tyndall team also includes Darla Bachmann, John Bentzen, Ernie Bures, and Drew Koch. Kim Bierema operates out of the Springfield office and Joyce Sestak out of the Tabor office. Our most recent expansion in 2015 is the office in Tea, South Dakota, managed by Marty's daughter Courtney Koch. In January 2016, Joe Linneweber joined Koch Insurance in the Tea location. 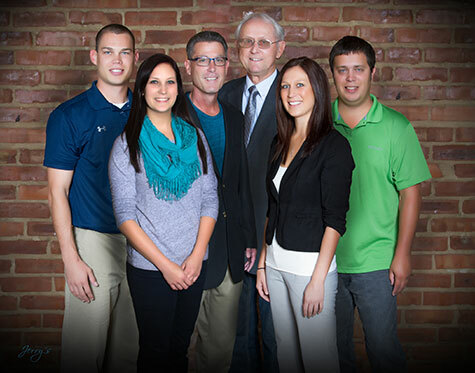 Koch Insurance has a combined 158 years of insurance experience and provides "A TRADITION OF PERSONAL SERVICE."